Bildliche Darstellungen zum M.G. 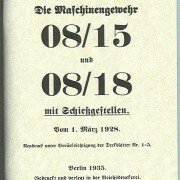 08 und l.M.G. 08. – Figurative Representations of the M.G. 08 and L.M.G. 08. This is a parts listing of the M.G.08 which was army issued and used for ordering parts by referencing the names of the parts pictured at the back of the manual. 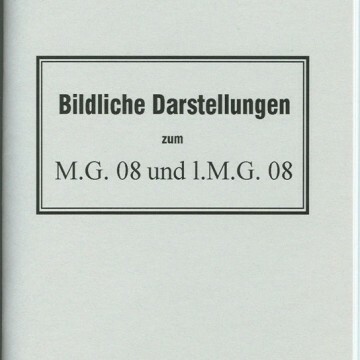 Bildliche Darstellungen zum M.G. 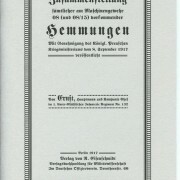 08 und l.M.G. 08. – Figurative Representations of the M.G. 08 and L.M.G. 08. This is a parts listing of the M.G.08 which was army issued and used for ordering parts by referencing the names of the parts pictured at the back of the manual. 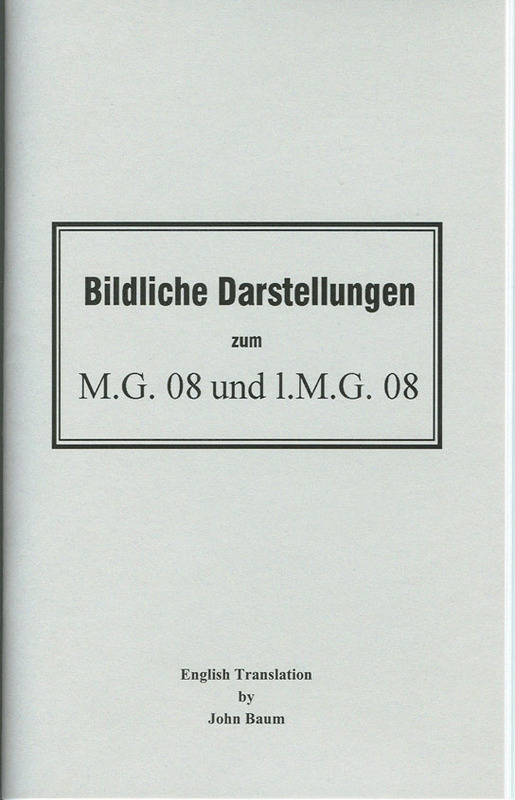 This manual contains the original German name, and right under it is the English translation. This has 25 pages of parts listings (counting both English and German), and 13 pages of parts pictures. Paperback, 44 pages, 8-1/2″ High x 5-1/2″ Wide. 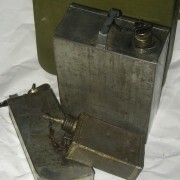 Please reference “MG08 Parts” on your order.